Hi everyone! it’s december already it’s amazing how time flies. 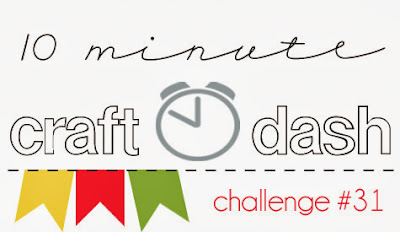 It’s time for another 10 Minute Craft Dash Challenge this and another challenge are going to be the last challenges of the year. So pull out your craft tools and play with us the prize is AH-MAZING. This week the colors are: Pale yellow, bright red and green. 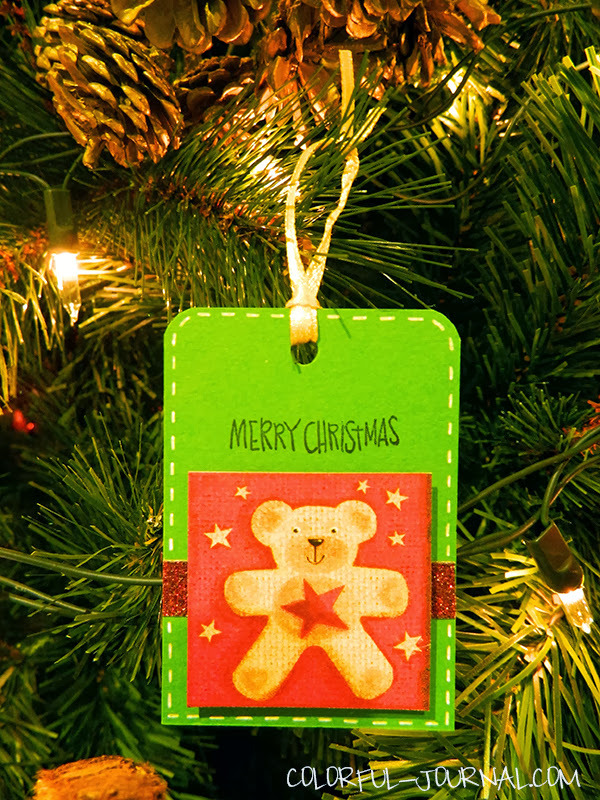 I making a lot of christmas tags to sell and to use at home, so I’m making a lot of models. I used a rectangular piece of cardstock, punched the corners with the 1/4″ corner rounder and a hole with the Crop-A_dile Big Bite II. 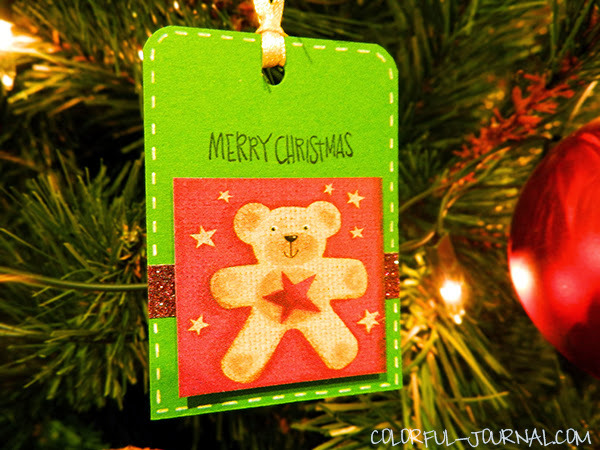 Using a stamp and black ink I stamped the Merry Christmas sentiment leaving enough space for the teddy bear image. 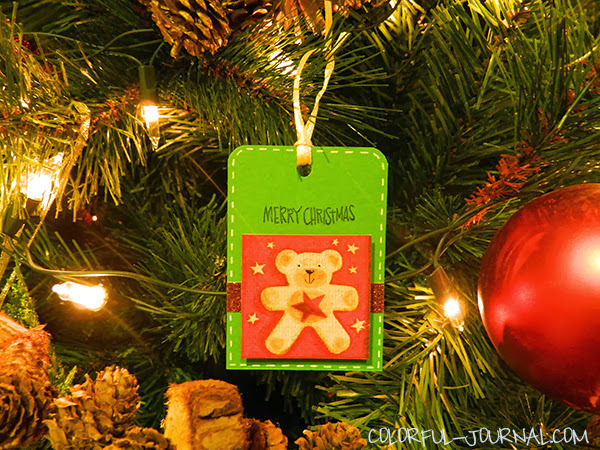 I cut that square with the bear from a wrapping paper adhered it to a cardstock, behind it I put red glitter tape from American crafts and then with foam squares I adhered the square in the center of the tag. For final accents I used yellow ribbon and white gel pen. My time was: 6min 40 sec. So now is your chance to make a project under 10 minutes (upload it here) and have the chance to WIN this amazing prize from one of my FAVORITE companies. 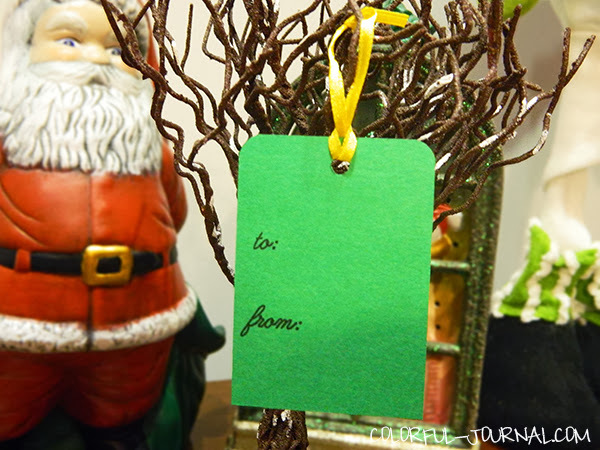 Your gift tag is so cute, Andrea. Love it! Thanks Betty, you always so sweet. Leave a Reply to Betty J.